So far the new year is off to a slow start in our house. I keep reading about other bloggers’ projects and re-organization tactics. And while inspired (and somewhat jealous), I’m having a hard time getting myself motivated after the holidays. We only just took down all of our Christmas decorations a week and a half ago! But that doesn’t mean we don’t have some plans lined up. 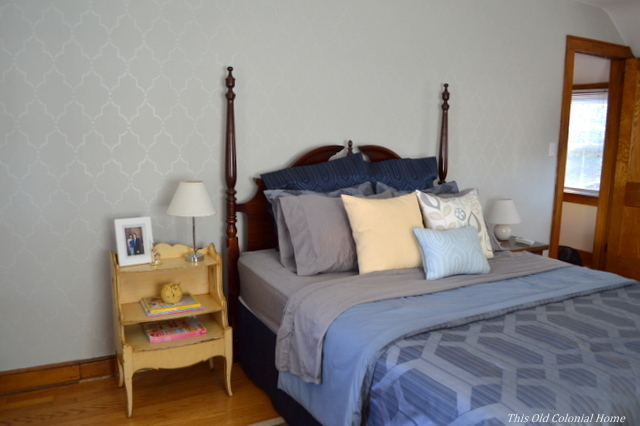 One of my goals for the new year is to finally finish decorating the master bedroom. Our furniture is all mix matched, but not in a good way. We don’t have window treatments other than blinds and there’s still nothing hung on the walls yet. It’s time. 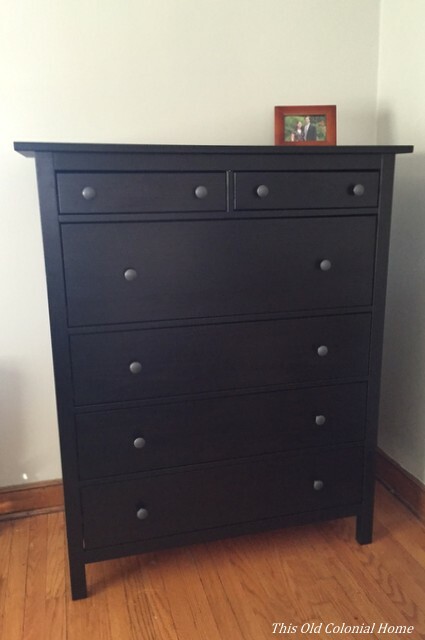 So far we have managed to get two new dressers. 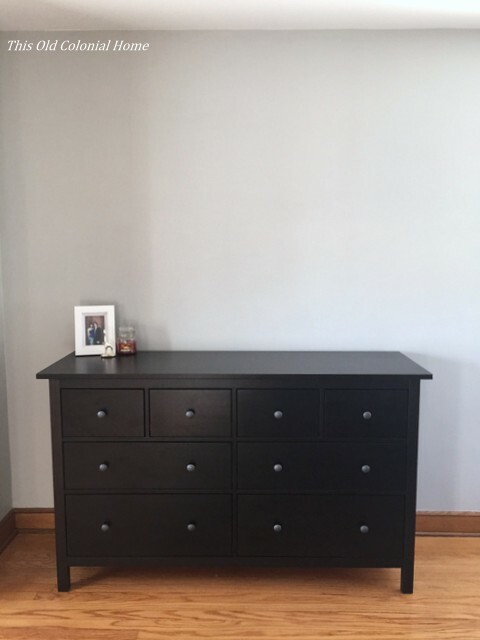 I think just about everyone has these Hemnes pieces from Ikea, but they’re so affordable and look great! I think they have definitely helped improve the room. On the to-do list is replacing the headboard. Even though I like our current one, I think with the new dressers and the wood floors and trim in the room it’s too many different stain colors. I’m hoping to switch it up with a tufted headboard. I think having fabric will help break up all the wood. I love this one! We also hope to eventually make two nightstands. I love our yellow one, but I think we plan to move that into another room. Once we have the nightstands, then I can add new lamps and artwork. I’m also working on styling the long dresser and the big blank wall behind it. 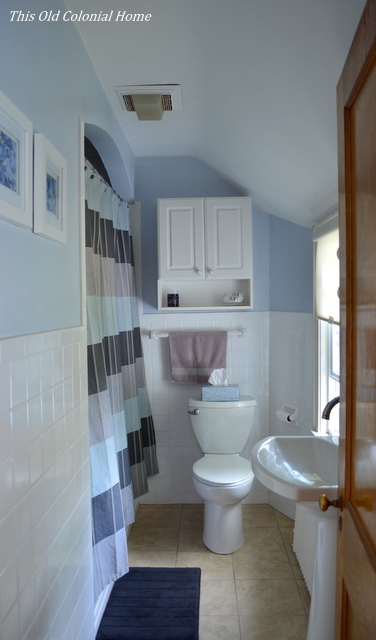 The other major goal for the new year is having our upstairs bathroom completely renovated. We’re talking a gut job! But why you may be asking. Because it’s an incredibly small bathroom that has had (original 1937) plumbing issues, surface mold, and peeling paint in the tub. So we figured let’s start fresh — give it a new layout, take a little space from a bedroom closet and hopefully incorporate a pocket door to give us more elbow room and to make it more functional. This is a job for the professionals. We’ve already got our contractor and will hopefully see work begin in the next few weeks. 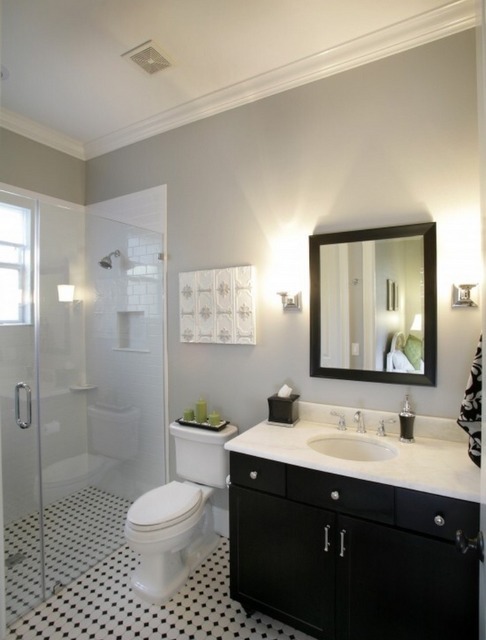 Think classic subway tile and black and white floors. Something like this perhaps. We are super excited about this! Aside from having our hardwood floors redone and our driveway widened, this is the first major renovation we’re undertaking. I can’t wait to share the progress and end results with all of you! Here’s to improvements in the new year! Categories: Home Decor, Renovations | Tags: bathroom, decor, dressers, headboard, master bedroom, renovation | Permalink.